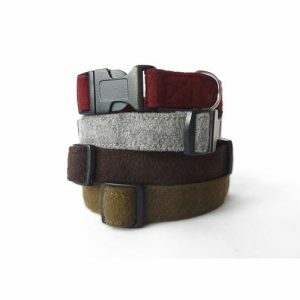 Luxury wool dog collar and lead from Hailey & Oscar Designer Pet Wear. Available in four colours: Brown, Grey, Khaki Green and Maroon. 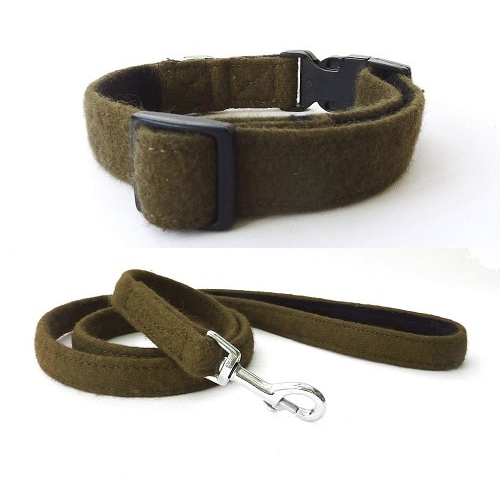 Luxury wool dog collar and lead set supplied in the following colours Brown, Grey, Khaki Green and Maroon. 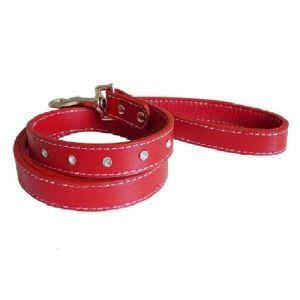 This affordable yet quality collar and lead is from Hailey & Oscar beautiful designer pet wear range. The collar’s outer surface is made from quality wool and for extra comfort the inside is fleece lined. The collar is easy to put on using the side release buckle. 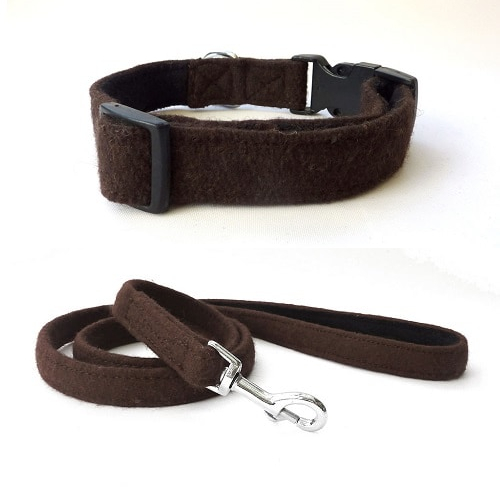 Collars have three extendable sizes, small, medium and large to fit most breeds. 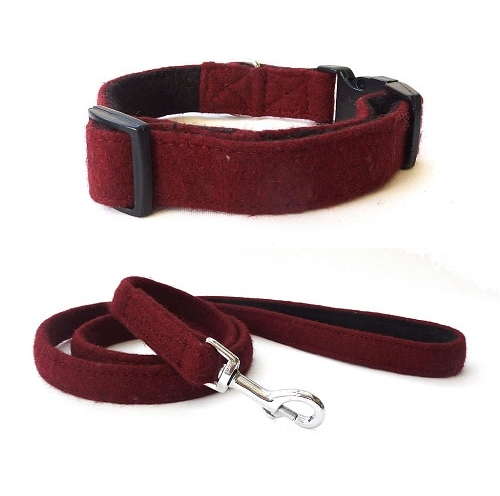 Luxury wool dog collar and lead size guide. Please measure your dogs neck carefully to ensure the best fit. Why not complete the look with one of our casual wool dog coats. 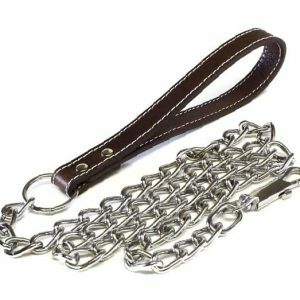 Plain Brown Dog Chain Lead – with matching collar. Lishinu Retractable Dog Lead. Hands free.